The following are images from a very moving memorial service to remember those killed in the Sept 11 attack. 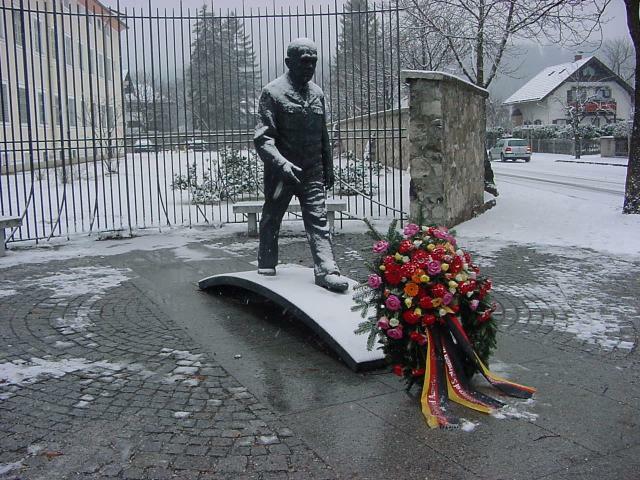 It was held this afternoon, in light snowfall, at the east gate of the George C. Marshall European Center for Security Studies here in Garmisch-Partenkirchen. 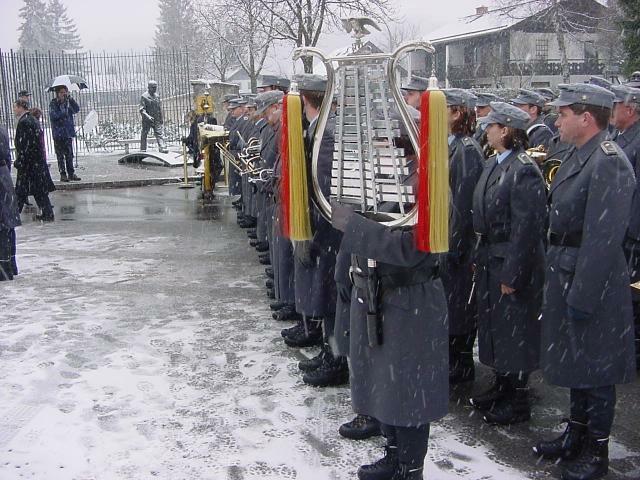 The local military band was there and after short statements by both the American and German directors at the center, there was a moment of silence, after which the German and American national anthems were played. 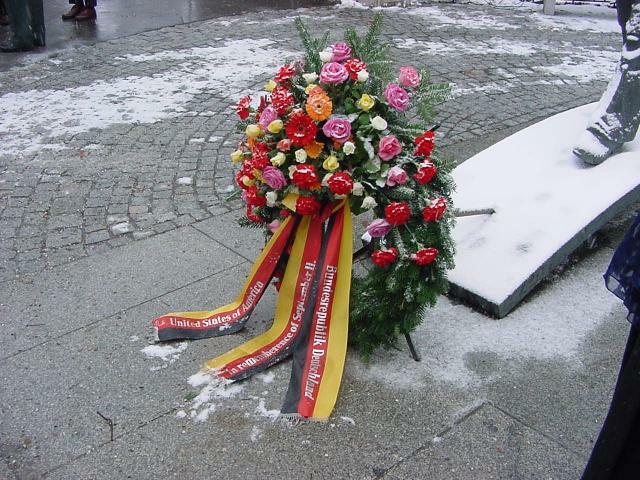 This wreath of flowers was placed at the foot of a statue of George C. Marshall. Similar services were held all over the world at precisely the time the first plane hit the WTC. 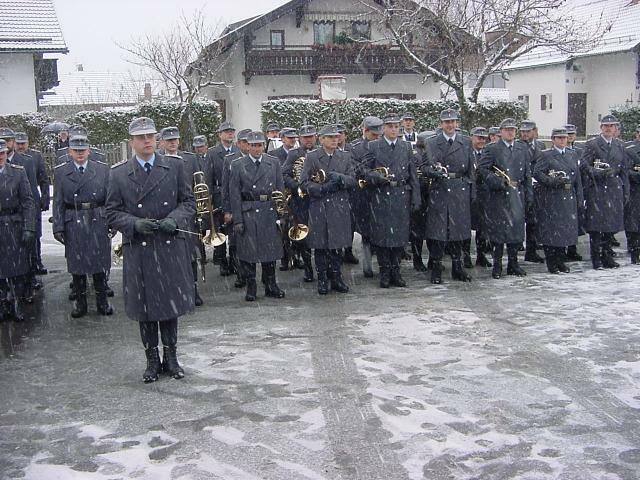 There were quite a few in attendance, both Germans and Americans.